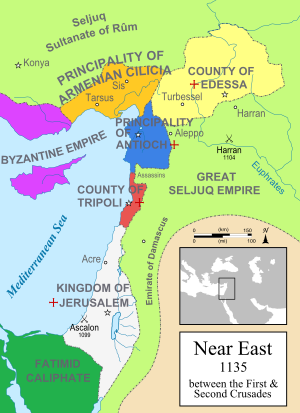 The behaviour of the Crusaders in the eastern Mediterranean area appalled the Greeks and Muslims, creating a lasting barrier between the Latin world and both the Islamic and Orthodox religions. It became an obstacle to the reunification of the Christian church and fostered a perception of Westerners as defeated aggressors. 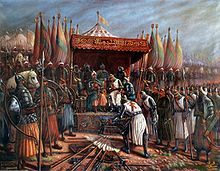 However, many historians argue that the interaction between the western Christian and Islamic cultures played a significant, ultimately positive, part in the development of European civilisation and the Renaissance. Relations between Europeans and the Islamic world stretched across the entire length of the Mediterranean Sea, leading to an improved perception of Islamic culture in the West, but also make it difficult for historians to identify the specific source of cultural cross-fertilisation. 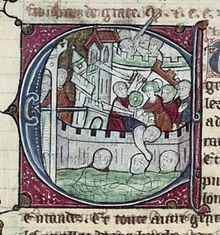 The art and architecture of Outremer show clear evidence of influence, but it is difficult to track illumination of manuscripts and castle design back to their sources. Textual sources are simpler, and translations made in Antioch are notable but considered[by whom?] secondary in importance to the works emanating from Muslim Spain and from the hybrid culture of Sicily. Muslim libraries contained classical Greek and Roman texts that allowed Europe to rediscover pre-Christian philosophy, science and medicine. 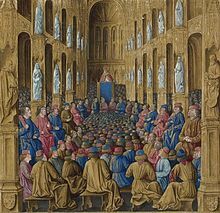 There are five original sources on the Council of Clermont that initiated the First Crusade: the anonymous Gesta Francorum (The Deeds of the Franks), dated about 1100–01; Fulcher of Chartres, who attended the council; Robert the Monk, who may have been present, and the absent Baldric, archbishop of Dol and Guibert de Nogent. These retrospective accounts are inconsistant. Bull, Marcus (1999). "Origins". In Riley-Smith, Jonathan. 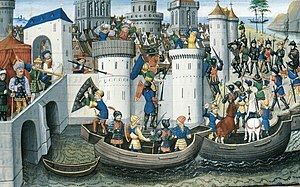 The Oxford History of the Crusades. Oxford University Press. ISBN 978-0-19-280312-2. Caspi-Reisfeld, Keren (2002). "Women Warriors during the Crusades 1095–1254". In Edington, Susan B.; Lambert, Sarah. Gendering the Crusades. Columbia University Press. ISBN 978-0-231-12598-7. Constable, Giles (2001). "The Historiography of the Crusades". In Laiou, Angeliki E.; Mottahedeh, Roy P. The Crusades from the Perspective of Byzantium and the Muslim World. Dumbarton Oaks. ISBN 978-0-88402-277-0. Retrieved 2016-10-04. Riley-Smith, Jonathan (1999). Riley-Smith, Jonathan, ed. 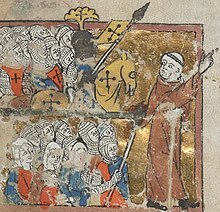 The Crusading Movement and Historians. 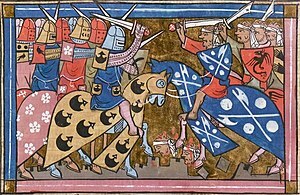 The Oxford History of the Crusades. Oxford University Press. ISBN 978-0-19-280312-2.